One thing we love here at Turnips 2 Tangerines, is a darn good green salad. 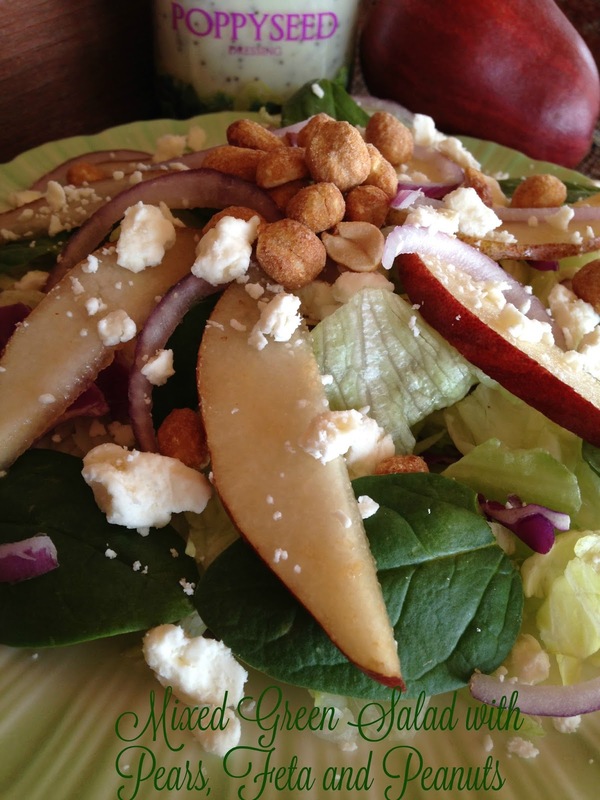 Mixed Green Salad with Pears, Feta and Peanuts is a true delight in each and every delicious bite. Topped with poppy seed dressing…perfect. Make your own poppy seed dressing or opt for one of the many delicious bottled dressings that can be found at your local grocery store. 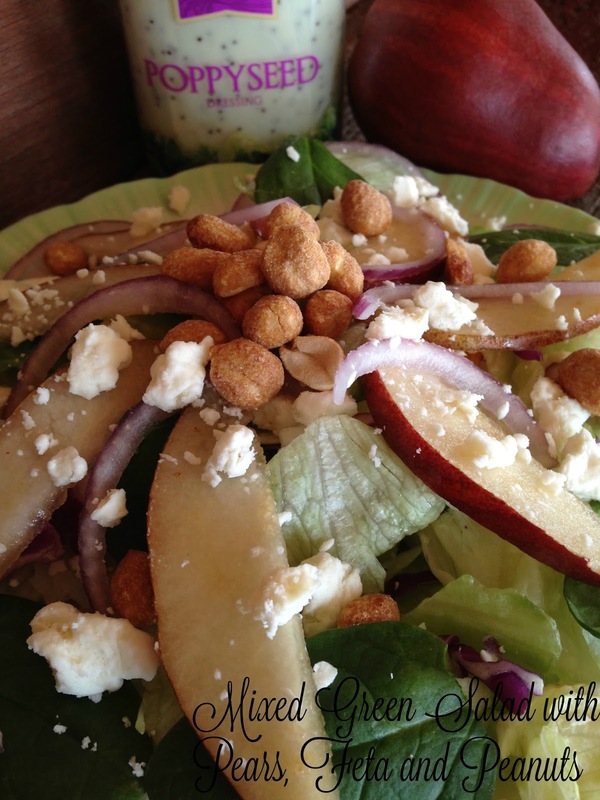 This recipe for Mixed Green Salad with Pears, Feta and Peanuts will make two large ‘entrees’ size salads or four small ‘side’ salads or if your super, duper hungry….one gigantic salad. One thing I like about a salad is you can make it your own and the end result will still be fantastic. There really is know right or wrong way when it comes to a salad, in my humble opinion anyway. Don’t like feta cheese? Substitute blue cheese. Not a fan of pears? Use apples. Can’t eat peanuts? Use golden raisins instead. Anyway you make this salad, it’s still going to taste darn good. 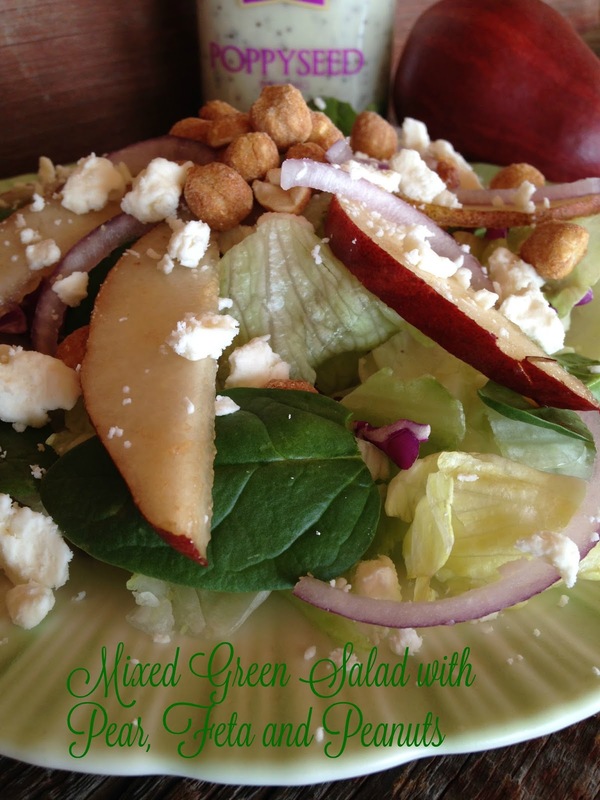 In a large bowl combine mixed greens and baby spinach. 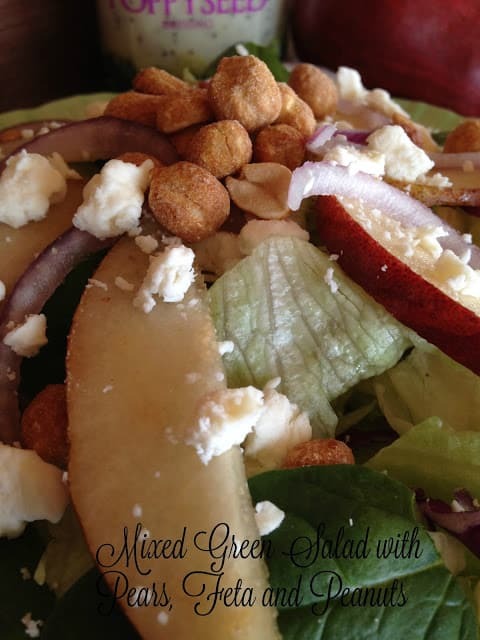 Divide salad mix between serving/salad plates. Top each plate of greens with pears, feta cheese, peanuts and red onion.